After two seasons of precipitous decline, the SCCA moved in to take over control of Can-Am for 1986. Relationships with the remaining competitors quickly soured and, in July,the SCCA announced they were folding the series after that season. Only four races were held and Horst Kroll, the Canadian champion back in 1968, took the title. After the SCCA took back control of the series, the Can-Am Teams (CAT) declared their independence and devised a championship that included the four existing Can-Am races plus an extra race at Hallet, Oklahoma, in October. The main innovation of 1986, championed by Bill Tempero, was the introduction of a new class for second-hand CART chassis with 6-litre engines. 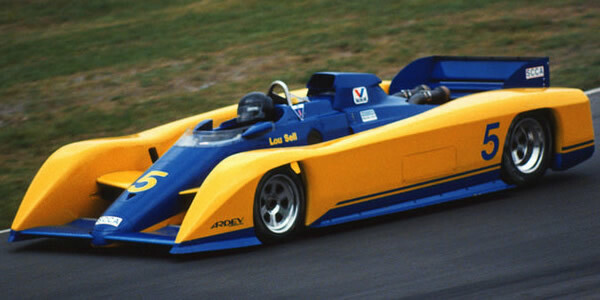 CAT continued for a further season using a mix of these rebodied ex-Indycars and older Can-Am machinery. After 1987, Tempero led off the ex-Indycar drivers into his American Indycar Series (AIS). While the Can-Am points table shown in On Tracks's Can-Am review (22 Dec 1986 pp80-81) is exactly what would be expected from the 20-16-14 points system then in force, the CAT table shows extra points for Kroll (5), Sell (1) and Lamb (1). This suggests a point was being added for pole again, as in the CAT-administered 1985 Can-Am series but that only explains two of Kroll's extra points, not the other three. It may simply be a typo. The table here includes the unexplained extra three points. CAT also recognised a 2-litre championship which was won by a 12-year-old Formula Atlantic March.